Jack O' Lantern time for a Movie Monsters shoulder bag! 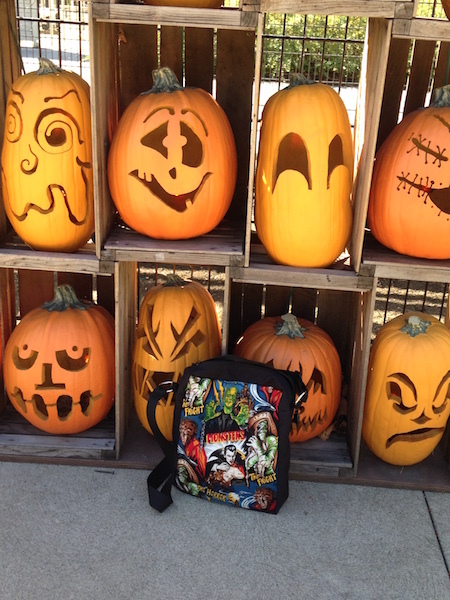 Many thanks to Laura for sharing this photograph of her new Movie Monsters Fox Shoulder Bag. Find this bag in the shop here. Pretty hard to resist this purse which features a zombie newspaper with articles like Torn Between Two Lovers Feeling Like a Ghoul! 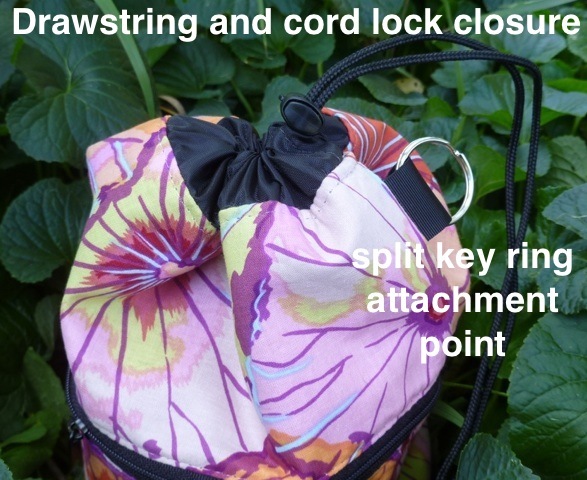 This is my Tallullah style purse, which has a magnetic closure, an adjustable shoulder strap and the Zoe Pocket Set inside. Sometimes you just need a small bag with enough space to carry everyday items, nothing fancy, just a bag that looks great. That's the small Honeysuckle tote. The small Honeysuckle zippered tote is a low profile bag, with an adjustable shoulder strap that you can wear on your shoulder or cross body. It's 12" by 9" by 2". Find the small Honeysuckle zippered totes in my shop here. Don't see one in the right fabric for you? Check out my fabric photo album and ask for a custom order. Don't settle for not quite right. These aren't your usual bags, I can make one that is perfect for you. A perfect tote bag for a scientist, a great gift for a science teacher or student, or for anyone who loves science. Many thanks to Lea who continues to send me pics of her travels with her Kipster knitting bag. 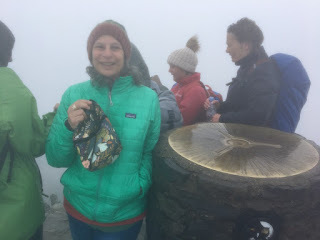 Here she is on Mount Snowden in Wales. Yes it's summer. While my customers buy these bags as gifts for their golfing friends and relatives, I also sell them wholesale for people organizing golfing tournaments. Check out the variety of fabrics and bags in my shop here. Feel free to contact me to discuss larger quantities. Who doesn't love adorable otters? I found this duo of matching fabrics featuring an otter pond and had to get them. I also had a small piece of another otter fabric and thought I'd offer a variety of bags using all three. There is an Otter Pond Kipster knitting bag, an Otter Pond Otters Suebee drawstring bag and a Scooter zippered accessory bag, and an Otters coin purse. They are all sweet and ready for otter lovers to claim them for themselves. How could a Zombie lover resist this awesome fabric used on my medium Fleur tote bag? Find the bag in my shop right here. How could I resist these fabrics featuring big eyed aliens and the UFO's that transport them? The colors are great too. The Fleur tote is a simple bag with long handles that can be used for many things. You can carry your towels to the beach, bring toys to grandma's house, tote your knitting around town, or pick up groceries. You will find its uses are endless. Find the Alien Eyes Fleur Tote in the shop here. I made this tote with the aliens on one side and the UFO's on the other. You are welcome to ask for a custom order using only your favorite fabric on both sides, of course! Unusual and unique knitting bags with pockets, flying cranes, cute cats, batik or spooky. If you're looking for a medium sized knitting or crochet project bag with lots of pockets for organizing your notions and supplies, the large Kipster might be just what you seek. It holds knitting needles up to 10" long. 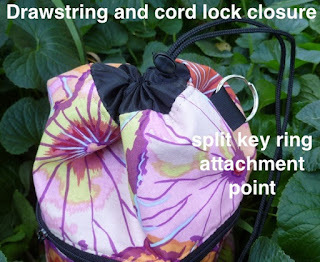 With various pockets on the inside and outside, you can even carry a wallet and keys along with your knitting supplies. I like to make limited quantities of most of my bags, so you will find that in some cases you might be the only person on the planet with one of these bags. They make great gifts from the knitter in your life too. Don't see quite the fabric you like? Ask for a custom order I have many fabrics from which to choose. This Spooky Lace fabric is cotton with the lace pattern printed on to it. It's not a lace fabric.